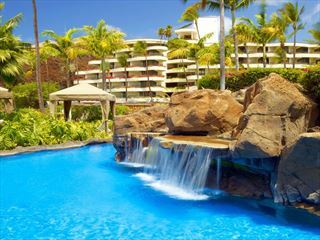 Set amidst 27 acres of tropical lawns and gardens, fronting the best and most exclusive stretch of Kaanapali Beach, the Royal Lahaina Resort is a truly unique Hawaiian Resort. The resort’s natural beauty, traditional Hawaiian ambiance, and dedication to Five-Star service delivery offer a timeless, simple and subtle elegance, and provides for the ultimate in relaxation and tranquillity. Each guestroom has been custom-designed, the rooms and suites in Lahaina Kai Tower and Beach Cottages feature Island-inspired tasteful design and luxurious appointments. 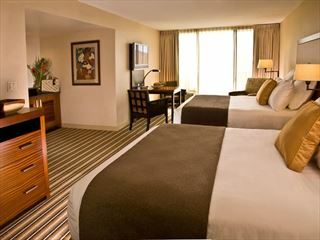 All rooms have spectacular views, whether of the lush tropical gardens or Pacific Ocean, the décor and views connect you to the beautiful tropical surroundings. Whether you are spending the day snorkelling, sunbathing, golfing or in the Royal Lahaina Tennis Ranch, the perfect way to end the day is watching the fiery sunset on the golden sands, or one of the three swimming pools with a tropical cocktail in hand before heading to one of the fantastic dining options or experience the legendary Myths of Maui Luau, where Hawaiian and Polynesian traditions are told through food music, dance and traditional festivities. 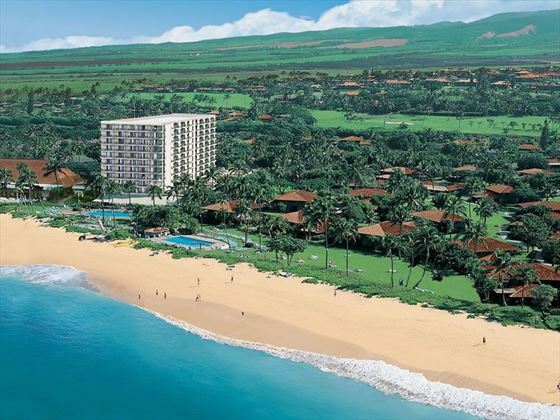 The Royal Lahaina is located on the quiet, secluded end of spectacular Kaanapali Beach, an excellent beach for swimming and strolling. Royal Scoop - Offering handmade ice creams, pastries, sandwiches, smoothies and coffee.